This is according to wind and solar performance maps of Europe by Vaisala, a company that collects and analyzes weather-related data globally. According to Bloomberg News, wind farm owners SSE and Ørsted were both hit by lower wind speeds in the first half of the year, which reduced output from turbines. In Britain, the lack of wind also helped push natural gas prices to the highest for the time of year since 2013 as plants burning the fuel were called on to make up for lower output from wind farms, according to Bloomberg. Vaisala has for a long time recommended that renewable energy power producers create a balanced portfolio of wind and solar assets in order to account for situations exactly like what is occurring in Europe right now. The performance maps show that wind farm operators saw the available resource in July dip by as much as 20 percent from long-term averages, while solar irradiance in many of the same markets was up to 20 percent above average. The high-pressure system over Europe that caused these anomalous conditions is expected to persist until October. These conditions follow another notable ‘wind drought’ across the U.S. in 2015, which had a widespread financial impact. “The 2015 conditions caused many wind energy investors in the U.S. to think very seriously about how they could diversify their portfolios, not just geographically, but also by technology,” said Dr. Pascal Storck, Director of Renewable Energy, Vaisala. The July 2018 solar irradiance data shows a negative correlation between deviations in wind speeds and deviations in solar irradiance — i.e. when wind was below average, sunshine was above average. Vaisala said that the correlation pattern holds over the long-term across most of Europe but it varies from region to region as one looks globally. 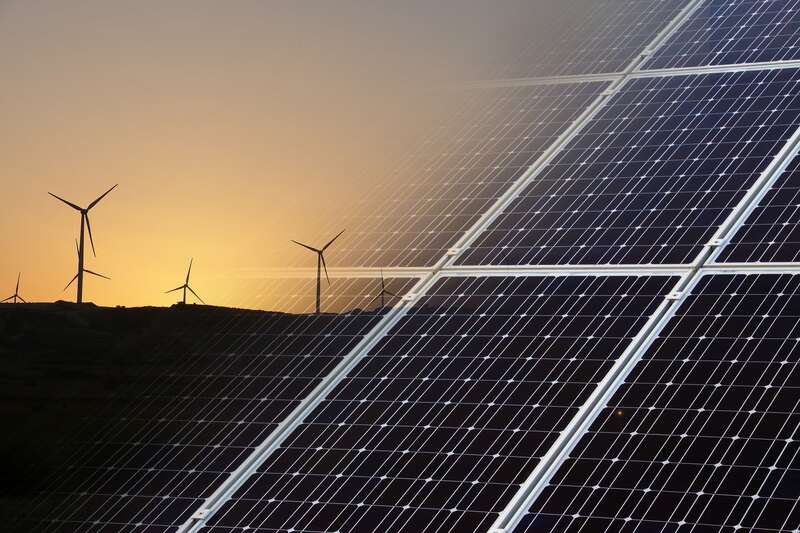 “Often wind and solar technologies are played against each other, but the reality is that a diverse portfolio, obtained by building out both, to a large scale, will be the solution to long-term variability of this nature,” said Storck. In Germany, for instance the installed wind and solar capacity have both increased in the last year but wind energy production for July 2018 was 20 percent lower than the same month in 2017 — a drop of 1.1 TWh in generation, or the equivalent of a 10 GW reduction in generation capacity (assuming a typical summer capacity factor of 15 percent). However, this shortfall was more than compensated for by a 26 percent, or 1.4 TWh, increase in its solar energy production in the same period.